Designer Andrea Wong discusses the evolution of her line of handmade accessories—from becoming disenchanted with the world of corporate fashion to finding inspiration in the Pacific Northwest. How did the AW by Andrea Wong Collection come to be? A few years ago, I decided to leave my job designing in corporate fashion. Without a real plan, but a real need for a break, I spent the summer traveling around British Columbia and gaining inspiration from the natural surroundings of the Pacific Coast. After traveling, I went back into my studio and just started designing and making. I began creating bags by combining leather with these amazing textiles that I had collected over the years during my travels as a fashion designer. AW by Andrea Wong was organically created when I decided to throw a pop-up shop and sell my bags. Why do you find it so important to used reclaimed materials in your designs? There are so many incredible materials already out there, such as authentic traditional textiles and beautifully aged leathers, that it seemed natural for me to reclaim them and give them new life, while at the same time celebrating their history. After working in the fashion industry for 10 years, I became disenchanted with the way people approach clothing as disposable items—in one season, out the next. It just felt wasteful. I love to celebrate the design of a traditional everyday item. 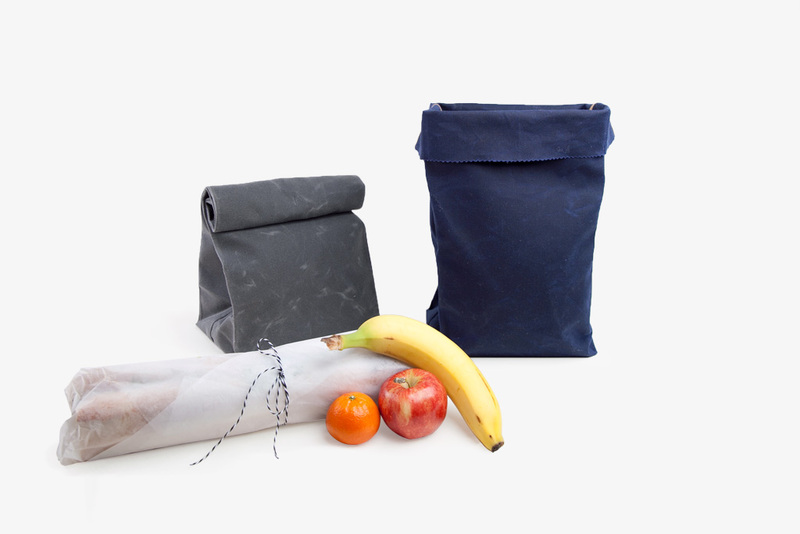 I wanted to pay homage to the paper lunch bag by making it reusable. Since it is made out of waxed canvas it also makes it water resistant! What’s your favorite thing about living in the Pacific Northwest? The feeling you get when you look out on to the ocean. Every time I see the mountains, the gulf islands, and the blue infinity, my heart skips a beat and I feel like the luckiest person! 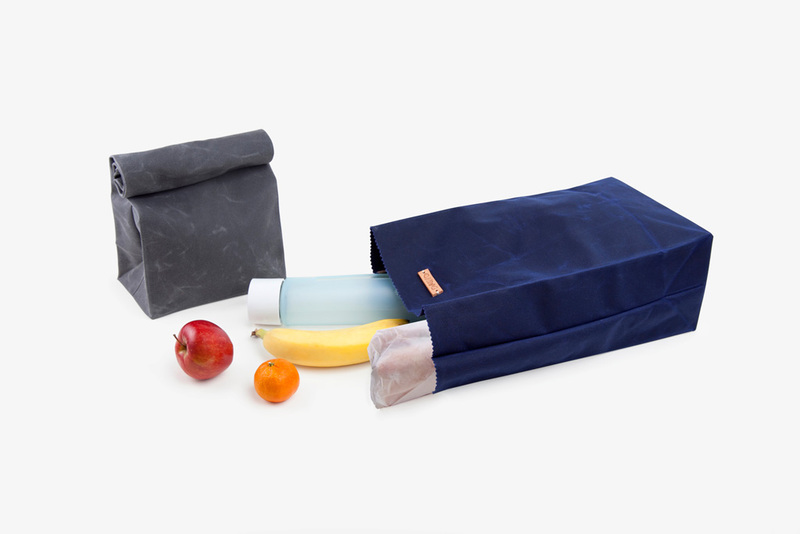 The Waxed Canvas Lunch Bag by Andrea Wong is available for purchase at poketo.com and in our Flagship at 820 E.3rd Street, LA, CA.